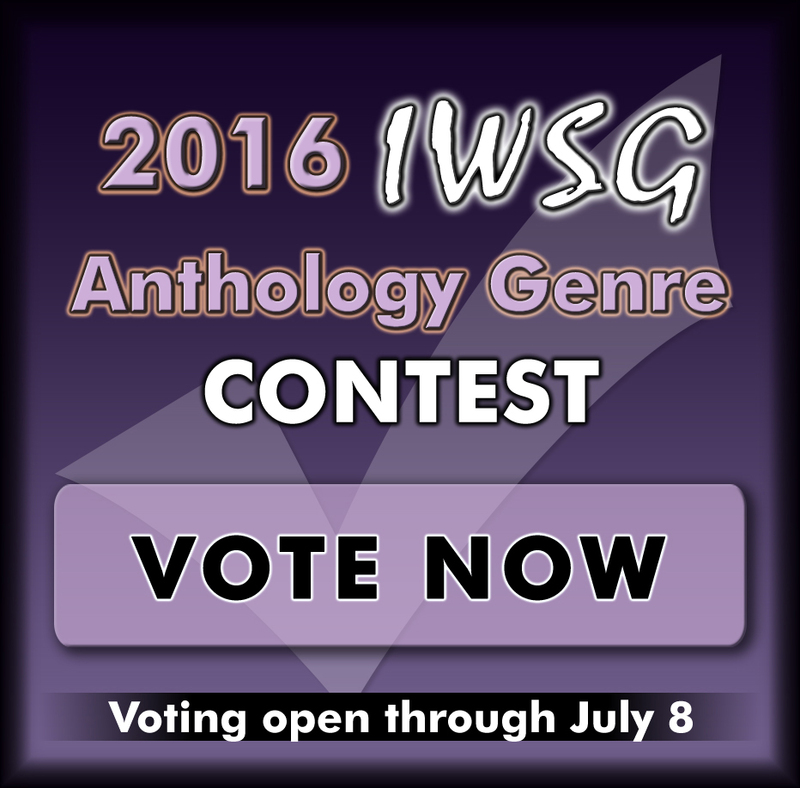 VOTE for the genre for the next IWSG Anthology! 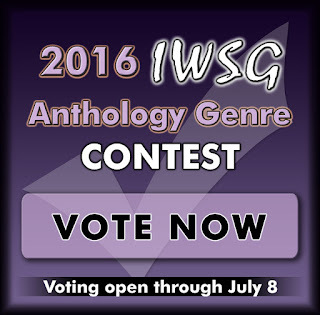 JULY QUESTION: What's the best thing someone has ever said about your writing? When I published Hurricane Crimes with The Wild Rose Press, I had never received praise for my writing. To promote Hurricane Crimes, I created my first character interview for a blog. After the post went live, I got an email from the host telling me it was the best character interview she ever had, and she was emailing my editor to tell her about it. I didn't think my editor would go to it because I know how busy she is, but she did. And she left this comment: "I know I may be her editor, but I loved Hurricane Crimes and really enjoyed the journey." Facebook Ad: I paid for my first Facebook ad. My budget was $11 daily for two days. My target audience was readers in Florida. Paid Tweet: Right after my FB ad ended, I attempted a $10 paid tweet. Afterward I found out you pay per link clicks. So at $5 per click, my ad ended when two people clicked the link! Giveaway: My giveaway for a $25 gift card ended. OVERALL: I will definitely do different giveaways in the future, and I'll also try different FB ads. But I won't be doing a paid tweet! Editors are just the people you certainly needs to get praaise from. Great post Chrys. Thanks for sharing the results on your promo efforts. Interesting to learn about the paid tweets. I was a bit surprised about how the paid tweets went, at least for me. Doesn't seem to be worth it. Loved the information about the promo efforts. I found the same with paid tweets, not useful at all! You are the best at the character interviews, Chrys, and your editor was spot on! Congratulations for all your success, it is much deserved! That's wonderful your editor left a compliment. Facebook ads have to be targeted just right to have much of any effect at all. Yes, the target I chose did pretty good for my first paid tweets. I wanted to tell you how much I enjoyed 'Hurricane Crimes'. All the while she was walking out to that car in the beginning I was wondering what I would do in the same situation. Nice one. I love it when my editors praise something - it means a great deal from them. Thanks for sharing your promo efforts. And good luck with the hospital volunteer training! That's a lovely message from your editor. I think it makes their job easier if they actually like the story. Good luck with your hospital training. I'm sure you'll be great!! I know it makes my job easier. ;) Thank you, Nicola. I'm enjoying volunteering. I didn't even know you could do paid tweets :) Good efforts trying to find the best way to promote yourself. How fun to be a hospital volunteer too! Yes, you sure can. :) Thank you, Betty! That comment/praise from your editor is exactly sweet. A hospital volunteer is a noble thing. Good luck. Hope you can share some of your experiences later. That is great to hear indeed for feedback. Facebook ads I tried once, meh for me.Pfft to paid tweets after seeing that. Pfft to paid tweets is right! Wow, your editor came and left a comment. That is awesome! 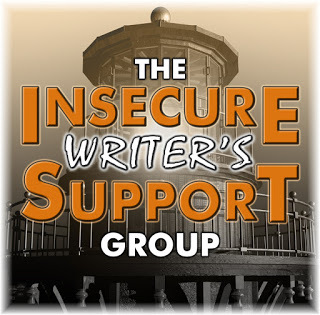 Chrys, you are doing a great job helping the IWSG. You are an inspiration and I love reading you blog posts. When your editor says something like that in public, that's awesome. Thanks for the report on what worked for you ad wise. I always appreciate hearing that stuff. Your editor really doesn't do compliments? My content editor is brutal, but he still tells me when he likes something. My line/copy editor cracks me up with her comments, making me feel like a rock star about my writing. I'm so, so grateful for her. No, she doesn't. She just tells me what needs fixing. Or she'll ask a question. Which is why I always like to point out what I like while I edit for someone. That's awesome that you have a line editor like that. Woot woot, Chrys! A compliment hard-earned is much better than the ones that come frequently. Good job! That's a wonderful compliment from your editor, Chrys. I'm in the middle of the sequel, Seismic Crimes. Wow, action packed!! The best compliment I've received on my writing was from one of my beta readers. She said her husband was concerned because she was crying all the time. She explained it was the short stories she was reading. :) Evoking emotions from a reader is a huge sign that something is getting through. Interesting results on your paid ads. I've never tried to pay for tweet ads. I've done a couple of facebook ones and garnered a significant increase in my book page followers. However, book sales don't seem to necessarily tie into these ads. Great exposure though. That is too cute. You made a woman cry and her husband was concerned for her. I love that! I made the same mistake with paid tweets! It's a total rip-off. Glad you had good results with your other marketing efforts. And congrats on that character interview and your editor's reaction! That's fantastic. I was surprised. I thought the paid tweet would've been better than the FB ad, but boy that was wrong. Thanks, Julie! It's nice your editor made an exception and said something nice and warm. Some people are more reserved, and save their praise and softness for special occasions. That's true, Carrie-Anne. She also tells all of her clients beforehand that her time is short, so she just gets to the point with edits. That paid tweet method sounds like scam. Two clicks? I have clicked stuff by mistake and exed it off my browser! Nice to see that you are trying various advertising methods. Maybe try book promoting sites or Amazon next? Your editor is definitely a tough angel. It does sound like a scam, doesn't it? I didn't know that's how paid tweets worked. Thanks for sharing this information. I didn't know it until I tried it. You're welcome, Susan! Character interviews are the best and it's so cool she liked yours so much! Keep at it, Chrys! I love character interviews. I did a few on my blog with characters of fantasy writers. They were amazing. I really enjoy character interviews, too. Great feedback. I bet it was nice to hear. How nice of your editor to make a fabulous comment. I've tried FB ads and it's hit and miss. Once I boosted ad and received over 20,000 impressions, but not much as far as sales. On an created ad I've had good luck and no luck. Tweeter the same results. I do believe these ads are still getting you noticed as an author. I can only hope! That's wonderful about the blog owner and your editor's compliments. I really liked Hurricane Crimes too! I don't pay for ads at the moment, but I may when I get a decent number of novels to sell. Congratulations! That is high praise. In response to your questions, my very first piece of writing was a short story under six thousand words and yes it did get published by an online publisher out of Canada. Interesting results on paid-promos - and good of you to share that. I made such a terrible (and expensive) mistake once that I've never gone that route again - folks either like my work or they don't. As in all of my business ventures, word of mouth is the truest and most effective form of advertising. True, it entails quite a bit of mingling with your target audience - I'm still learning - but you have it down to an art! I actually don't do much mingling with my target audience. I will be part of a massive book event/signing next year, so I'll have a chance then. What a great comment from your editor. Love this new feature of IWSG. Hope the volunteering training was a success too. That's wonderful that you're training to be a volunteer. I bet you'll make a good one. Also, thanks for the info. on Ads at Face Book and Twitter. I haven't done either. I wonder about Good Reads too. What a lovely thing for your editor to say. You know your work is good when your editor loves it. How great that you're training to be a hospital volunteer. Best wishes. Chrys, I've got to get out more as I see IWSG has themes now and I must have missed the memo. Anyway, an editor is one of the writer's best friend. They offer honest feedback other people will not. Receiving praise from those who are generally straight-to-the-point or less complimentary is a fantastic feeling! I'm also very happy that your giveaway and FB ad have paid off. I didn't know a Twitter ad was that expensive though. Well done, Chrys! Well, Twitter ads can be affordable as mine for $10 was but for just two link clicks and it ends, it is a waste. Wow! That's a great comment from your editor! Even if the promo efforts don't translate into lots of sales, I think it's still a great learning curve...and insightful. I think this was an excellent compliment since editors, I would suspect, are very picky. Good for you and good for you in becoming a hospital volunteer. What would you be doing as a volunteer? That's awesome that you had praise from your editor! Your promo results look good, I will most likely use Facebook ads and giveaways once I get something written. I can relate, since I've had a lot of tough editors, especially in journalism. Praise is indeed rare from editors. Congrats! Thanks for sharing your promo efforts. I'm always interested in how well these things do. That Twitter ad was ridiculous! $5 per click? Talk about robbery! It is robbery! I was shocked. They didn't say that before I bought the ad. Praise from where you least expect it, from your editor too, is great, cloud nine worthy. I've thought about doing a FB and Twitter ad in the future but now I've nixed the Twitter ad idea. That was robbery. It was robbery. I expected the ad to last, like with FB, for days.